These tentative design ideas were conceived in January 2009, before the restoration of the project, and show a possible partial modernisation. 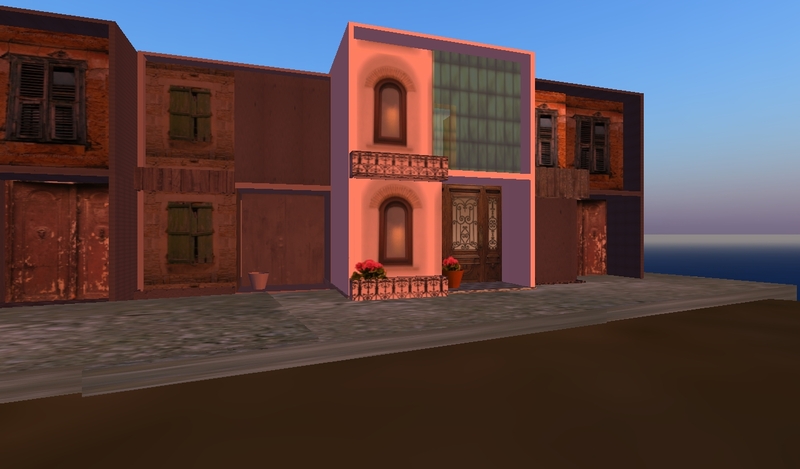 This model of housing is no longer appropriate for our purposes, as the design and materials used will not accurately reflect the historical architecture of the village. 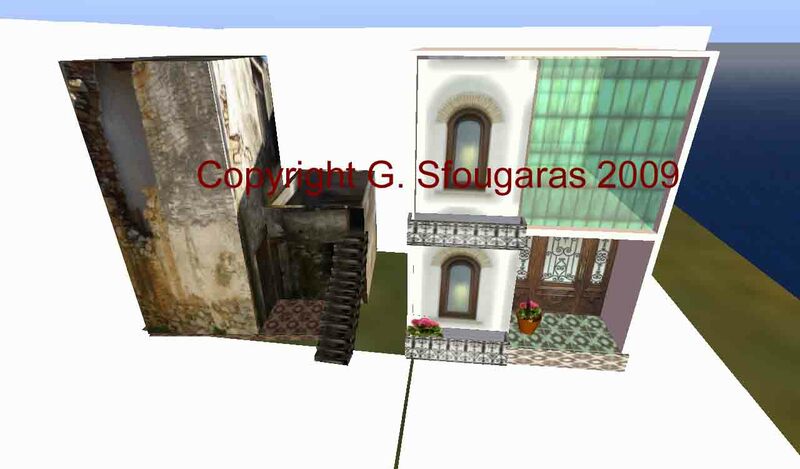 The above computer generated designs shows the same house, as a restored and un-restored version. The footprint is exactly the same, at 50 square metres. 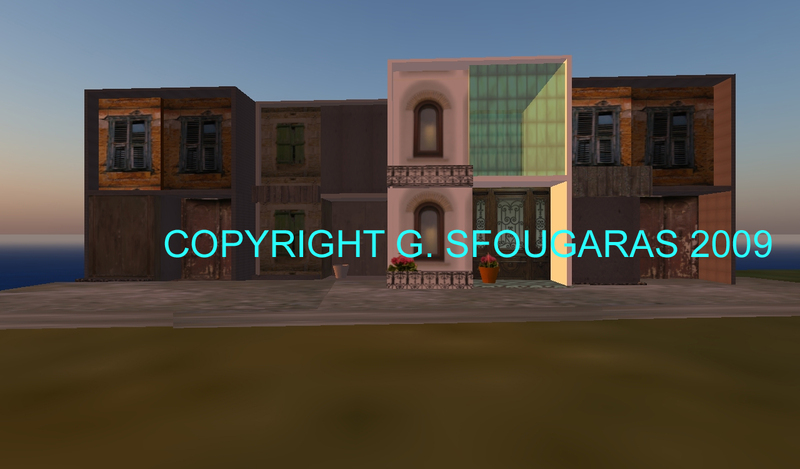 The following designs show one dwelling restored amongst other un-restored buildings. The above designs look at partial rebuild of one property. The design encloses a typical external staircase to the upper floor, and utilises glass for light, and convection in the winter. In the summer, glass panes revolve for maximum air circulation. The house design would be for north facing properties. South facing properties would utilise glass on a smaller scale. Depending on cost solar energy will be predominantly used. House building utilises mostly local materials, with the exception of wood, which due to supply reasons has to be imported. Sewage tank technology has progressed considerably with liquid waste 'filtration' tanks resulting in easier maintenance, where main sewer pipes are not feasible.